Teaching non-native children English with storybooks helps with language and culture. Teaching English to non-native children using picture storybooks helps them to understand ideas they might not be familiar with as non-natives, while emphasizing letters and sounds. Using pictures, letter sounds and songs to familiarize them with the things they represent is a good way to introduce non-native 3-year-olds to the fundamentals of the English language. 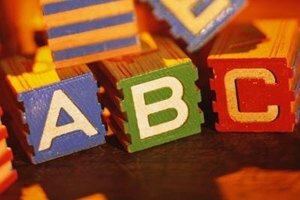 Place individual letters of the alphabet around the house or classroom to correspond with beginning sounds of things. For example, the letter "b" will go next to a box, or the letter "d" next to a picture of a dog. Always accompany a letter with a picture that has the same beginning sound when first teaching letters and sounds---students hear sounds in order. Select a book with no more than three to four words per page to read aloud to the children. Use a simple book, such as "Thomas' ABC Book" by Rev. W. Awdry, or "Miss Spider's ABC Book" by David Kirk. Introduce the 3-year-olds to the first letter of key words in the book before reading it aloud. Point to each word and say each aloud with emphasis on the first letter sound. Sound out the letter by itself after saying the word in full. Have children repeat after you on the second try. Read the story aloud and point to each word in the book as you read, placing emphasis on the first sound of the key words introduced to students beforehand. Read the story again, stopping at the words that were introduced beforehand, pointing to each one, and having children say the words aloud while clapping to the syllables. Read the story a third time, making it into a song, and sing it aloud with the children. Repeat it as many times as needed to help them memorize it. Use body gestures to act out the words and the story's meaning as they sing. 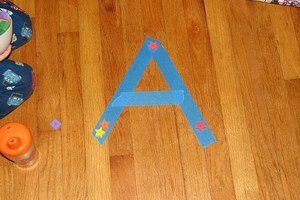 Give the 3-year-olds magnetic letters, Velcro letters or letters with tape on the back to stick onto things with the same beginning sound. Give them one letter to start with, but no more than three different letters at a time. 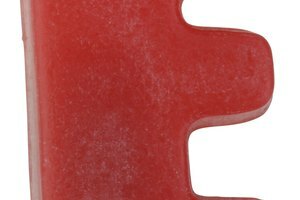 Allow them to feel the letter while playing with and observing its shape. Always say the sound of the letter in addition to its name. Walk around the room with the children and place each letter on something with the same beginning sound. Repeat the procedure a second time with the letter placed in the child's hand, sounding out the letter sound as the child places the letter on its spot. When children seem to get the hang of placing letters on things with the same beginning sound, and when they understand the names and sounds of things, allow them to place the letters around the room independently. 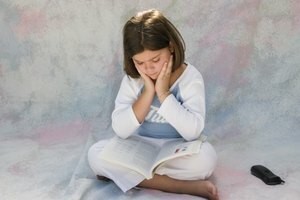 Because the book you read to the children has few words per page, the interruption of emphasizing the words should not interfere with their understanding of the storyline. If it does, read the book in its entirety first, and stop to sound out individual letters on a second read. Use a "big book" to read to them. Big books are large story picture books, about 10 times the size of a normal storybook. These books allow for teaching and viewing to students as they sit in a group. Words in a big book are also enlarged for student viewing. Deschel, Susan. "How to Teach English to Non-Native 3-Year-Old Children." 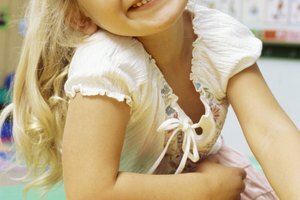 Synonym, https://classroom.synonym.com/teach-english-nonnative-3yearold-children-6077442.html. Accessed 19 April 2019.